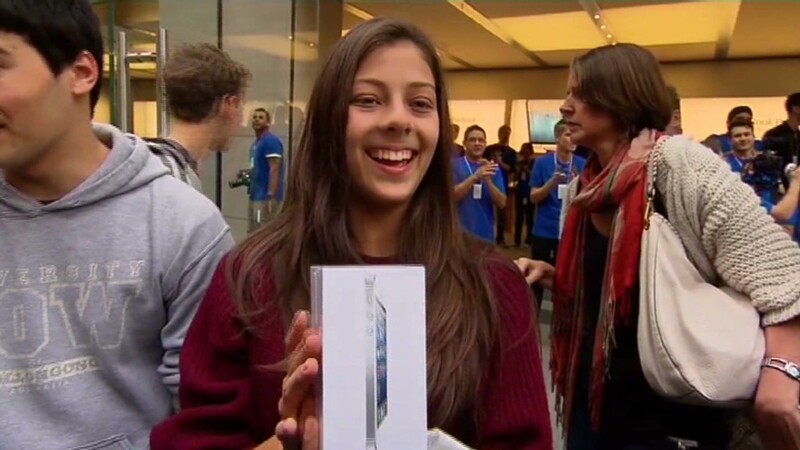 Jessica Mellow waited in line for more than 180 hours -- that's eight straight days -- for an iPhone 5. She was woken up by cops, "showered" in a torrential downpour, and watched two taxis collide right in front of the growing crowd outside Apple's gleaming retail cube on Manhattan's Fifth Avenue. On Friday morning, Apple (AAPL) finally delivered the prize she and thousands of line-sitters around the world were after. The iPhone 5 went on sale at 8 a.m. local time on Friday in the U.S., Australia, Canada, France, Germany, Hong Kong, Japan, Singapore and the UK. Mellow among the first to snag a phone at her Apple outpost. The No. 1 person in line -- Hazem Sayed, who arrived more than a week ago to promote his social media startup -- said the wait "was definitely worth it." The iPhone 5 is virtually guaranteed to be Apple's all-time bestseller. Apple took more than 2 million pre-orders in the first 24 hours, shattering last year's iPhone 4S record, and analysts forecast that it will sell as many as 10 million units by Monday morning. Apple's early inventory is already sold out: Online orders placed now won't ship for three to four weeks. Those hoping to snag an iPhone 5 right now will need to brave a retail line. Apple's stores typically have the best stockpiles, but they also draw the longest lines. By Friday morning, Apple's Fifth Avenue flagship had a line of more than 800 people that stretched down an entire city block and wrapped around. Apple's lines traditionally draw a mix of marketers, Apple zealots and more casual fans. Natalie Lopez, 32, joined the line at 5:30 a.m. Friday. "I've got the original iPhone. I've been sitting on it for 5 years. I'm just excited to upgrade it to something new," she said. Alex Brooks upgrades his Apple phone every cycle and typically sells the old model. (An iPhone 4S can still snag well over $200 on many resale sites.) He said he's excited about trading up for a lighter, thinner, faster phone. A few people hovering around hoped to capitalize on all those cast-off phones. One man, who said he was in town visiting from Israel, held up a hand-scribbled, neon pink sign: "I'll buy your old I-phone. Pay CA$H." The crowd at the Apple Store at Grand Central Station was quiet but large about 40 minutes ahead of opening time. The line snaked from the Main Concourse, down hundreds of feet of corridor, to a sign for the exit at 48th St. and Park Avenue. A handful of iPhone hopefuls stepped right up to the marble staircase that leads to the Apple Store -- and appeared bewildered when pointed down the corridor toward a long and growing line. People were still jumping in line at 7:30 a.m. One twentysomething man arrived breathless, asking, "Is this the line for the iPhone 5?" "It's the line for the express train to Poughkeepsie," a security guard quipped. Several people at the back of the line were heard asking each other, "Do you know how many iPhones they have today?" Everyone shrugged. Many people in line at Grand Central were passing the time using other Apple gadgets like Macs and iPhones. Once 8 a.m. hit, the lines moved fast. Dozens of shoppers were quickly cycled through the Grand Central store, and at Fifth Avenue, the line had shrunk dramatically by 10 a.m.
A variety of other retailers -- including carriers AT&T (T), Verizon (VZ) and Sprint (S) -- will also have the iPhone 5 available for sale on Friday, but their stashes could go fast. A Verizon shop several blocks away from Apple's Fifth Avenue store had around 100 people in line shortly after 8 a.m., and was admitting customers two at a time. Would there be enough phones for everyone? "It's looking pretty good right now," a store employee said while scanning the crowd. "The line's not too long." But by 8:45 a.m., a nearby AT&T store was completely sold out of all iPhone 5 models except the $399 64 GB white phone. "You're too late," the clerk said. "We're taking preorders, though." An AT&T store in Rockefeller Center was also picked clean. 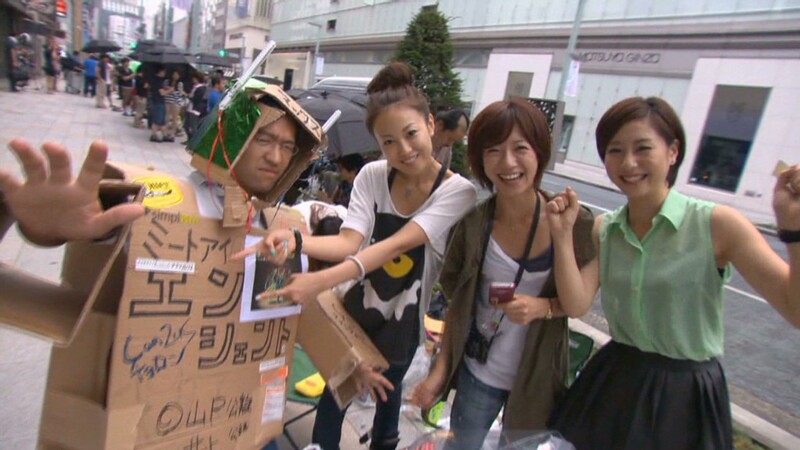 By 9 a.m., its entire iPhone 5 stock was sold out. A nearby Sprint store, which had a line of a dozen or so people, was also running short. "We're running dangerously low on black phones, but we do have them in white," a clerk told a potential buyer around 9:30. "But there's no guarantee we'll have them when you get to the front of the line." Representatives at several Best Buy (BBY) locations in Manhattan said the stores were still receiving their shipments on Thursday afternoon, and that they therefore didn't know many units would be available for purchase Friday morning. An employee at one Best Buy location in the NoHo section of lower Manhattan said the iPhone 5 "will probably be sold out for anyone who didn't pre-order." 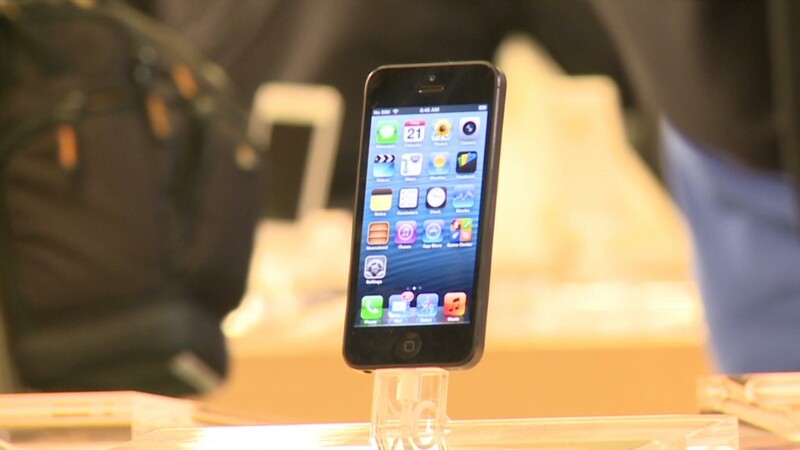 Apple's iPhone 5 release comes nearly one year after Apple's iPhone 4S, the model that introduced the world to Siri. The thinner, faster iPhone 5 is Apple's first hardware overhaul in several years. Reviewers have praised the phone's bigger screen, zippy processor, stellar camera and elegant packaging, but two major changes sparked blowback. Apple's redesigned "Lightning" connector will require a pricey adapter to link up with old accessories (and it won't work at all with some of them), and early adopters have almost universally blasted Apple's new Map app, which replaced the more-polished Google Maps. A satirical Tumblr, theamazingios6maps.tumblr.com, popped up on Thursday to highlight the ludicrously inaccurate suggestions the new app often makes. "I heard maps isn't so great, so that's pretty disappointing, but I'm sure they'll make it better," Lopez said. -CNNMoney's Laurie Segall and David Goldman contributed to this report.